Three Hill Farmstead and two Lawson's Finest Liquids brews not enough for you? 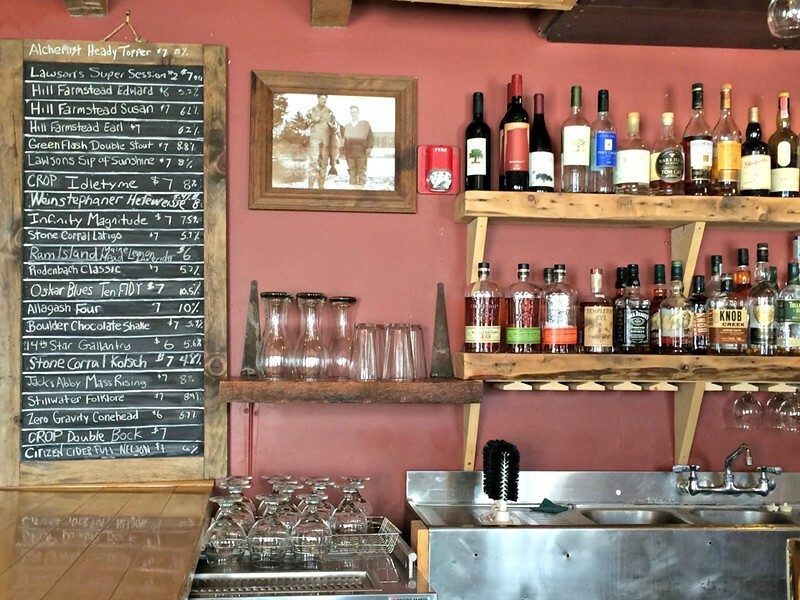 Blackback's got 17 more taps. Last May, original Blackback Pub owner Rick Binet sold the business to local couple Lynn and Dave Mason. This was a bummer to drinkers hoping for lawyer Binet's counsel and his fishing stories. But it was an even bigger buzzkill to foodies who flocked to Blackback for spicy snacks from the Mad Taco. The Mexican fare was replaced by toasted sandwiches and other less-than-ambitious options from Maggie's Kitchen. Late last year, Maggie was replaced by chef Jamie Nelson, previously of Ake's Den in Waitsfield. Before that, he led the fine-dining kitchen at Stowe Mountain Golf Club's the Cottage. With a focus on local ingredients, he's taken to the bar's tiny back kitchen to upgrade the menu. I stopped in on Sunday afternoon for a dose of ESPN bowling, excellent service from our bartender and a taste of the new pub grub. 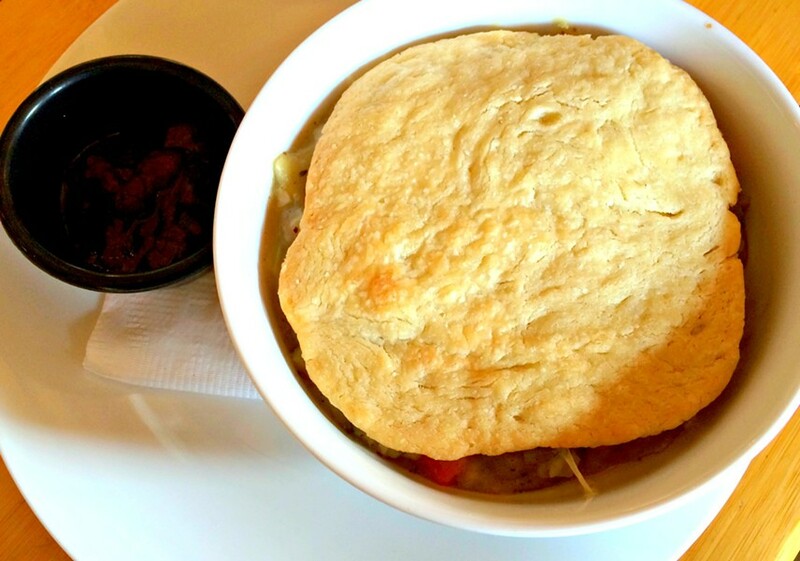 On a sub-zero day, not ordering a chicken pot pie would simply be folly. Nelson's was built around a stew enhanced with cheddar. This didn't add much flavor, but did result in stretches of cheese that extended from bowl to mouth with each bite. The lightly peppered stew burst with carrots, onions, celery and potatoes. But despite the name, chicken was scarce. Admittedly, balance of ingredients is a potential flaw in any stew. But the buttery, flaky crust on top still made this a worthwhile comfort lunch. A cup of chunky cranberry sauce on the side enhanced the flavors, though incorporating it with the rest of the food was a bit awkward. A cranberry-cheddar pot pie might have been a better creation. 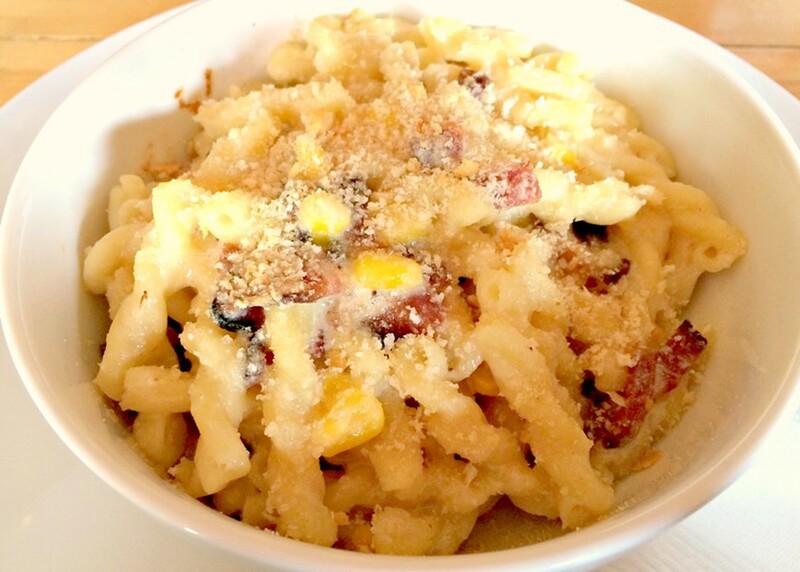 But if comfort was the goal, the smoked-bacon-and-corn macaroni and cheese was absolutely the right thing to order. As mac has proliferated as a Vermont menu option, the quality of said pasta dish seems to have been inversely affected. I can barely recall the last time I ate a restaurant mac-and-cheese that didn't make me wince a little. Nelson broke the streak. I chose to overlook the lack of seasonality and suspicious girth of the corn kernels and just enjoy the pops of sweetness. It blended masterfully with truly smoky bacon that crackled along with the crisp breadcrumb topping. All of the above kept their distinct flavors amid the gooey, creamy cheese sauce. I didn't want to finish the dish, but I did. And I'd do it again right now if given the opportunity. The sliders made from Waitsfield's Neill Farm beef were disappointingly small at first glance. But the dense little beef patties packed a bigger punch than expected. Cooked to a textbook mid-rare, the meat was also ideally beefy, with a robust taste of a healthy animal. 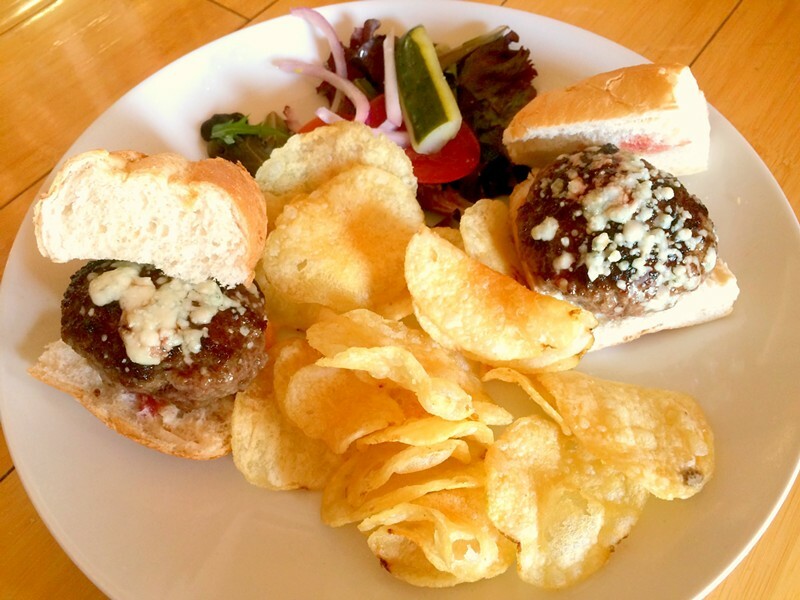 A shower of blue cheese enhanced the burgers, but they would have been fine without. If only the other fixings had been a little more exciting. The kettle chips were fine, but clearly pulled from a bag. On the side lay a few leaves of spring mix, some onion slices, a couple tasteless pieces of tomato and a sweet-pickle spear. They could have been intended as slider fixings or as a side salad, but didn't seem to be worth much either way. A couple of months into Nelson's tenure, he's already putting out some hits. Misses during my visit seemed to be isolated to more tangential elements of dishes. And with a high-level chef and great ingredients, I see no reason that Blackback won't grow to reclaim its seat among the Waterbury brew-pub greats.